Kristi Cundiff, IFAAP CEO, member Kara Cook, and Suzy Roth from Hands of Hope Adoption and Orphan Ministry attend the Terre Haute Chamber of Commerce Luncheon on the campus of Indiana State University. Governor Eric Holcomb spoke about his Workforce Development Plan. 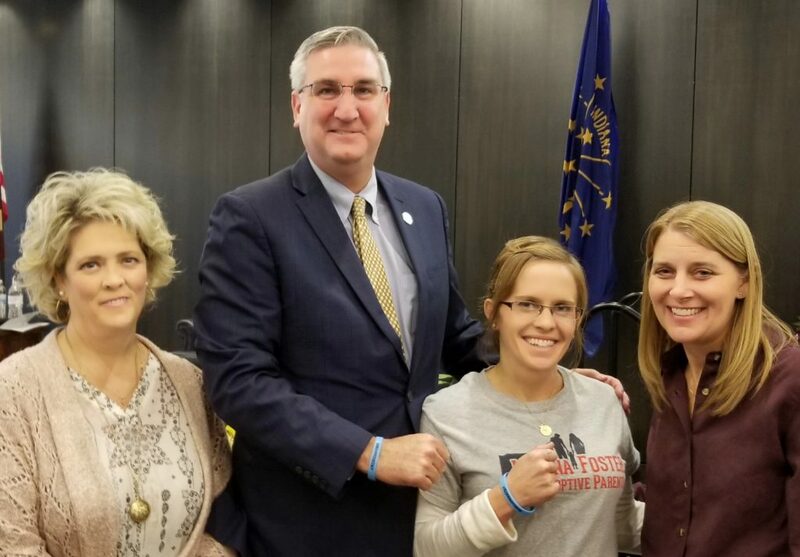 They had an informal chat, shared IFAAP, and #MajorMovement information with Governor Holcomb.